What can designers do to help combat sexual exploitation of children? 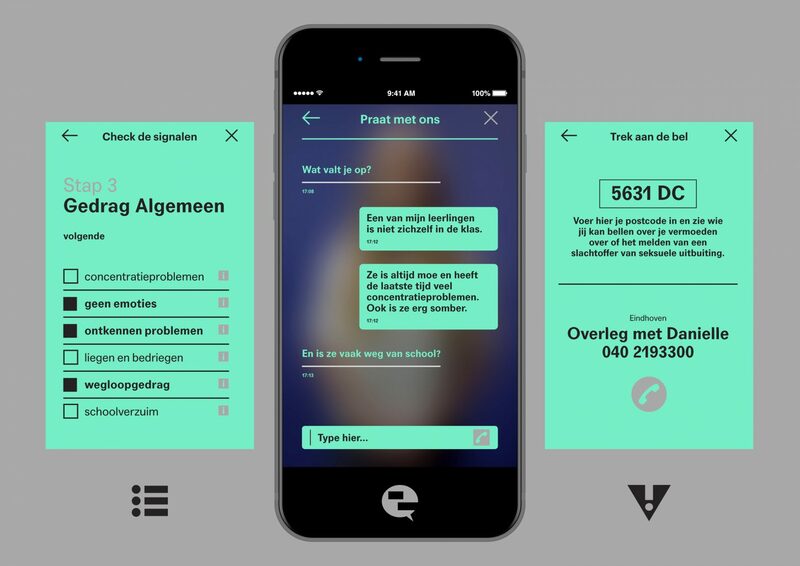 That is the question posed by design platform What Design Can Do in collaboration with the Dutch Public Prosecutions Service and the Ministry of Justice & Security in an invitation-only design challenge. 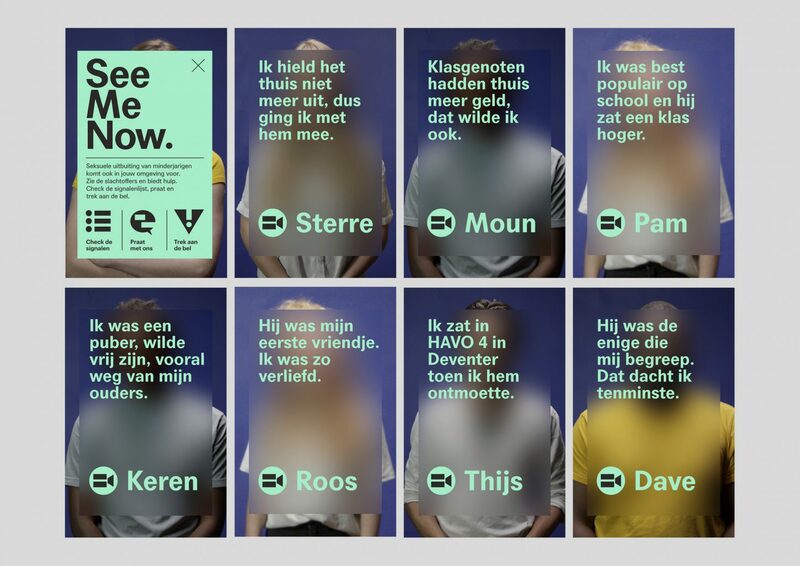 As one of the the invited teams, K&H was asked to come up with new ways of tackling this issue in the “No Minor Thing: The What Design Can Do Challenge to Combat Sexual Exploitation of Children”. 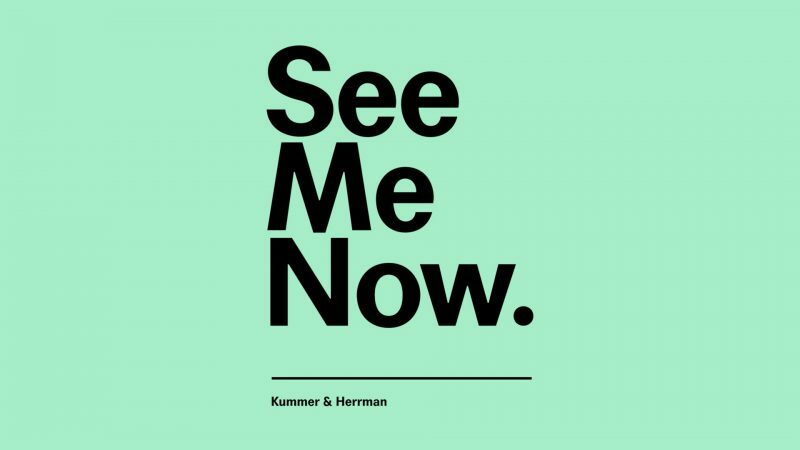 K&H developed “See Me Now” an awareness campaign aimed at professionals working in the educational, sports or medical field, who have a high chance to come into contact with victims of sexual exploitation without being aware of it. Many of these professionals believe that sexual exploitation of minors doesn’t take place in their immediate circles. Only when they become aware that this is not true can they be in a position to spot the signs and do something about it. Personal stories are an effective way of breaking down prejudices and raising awareness. 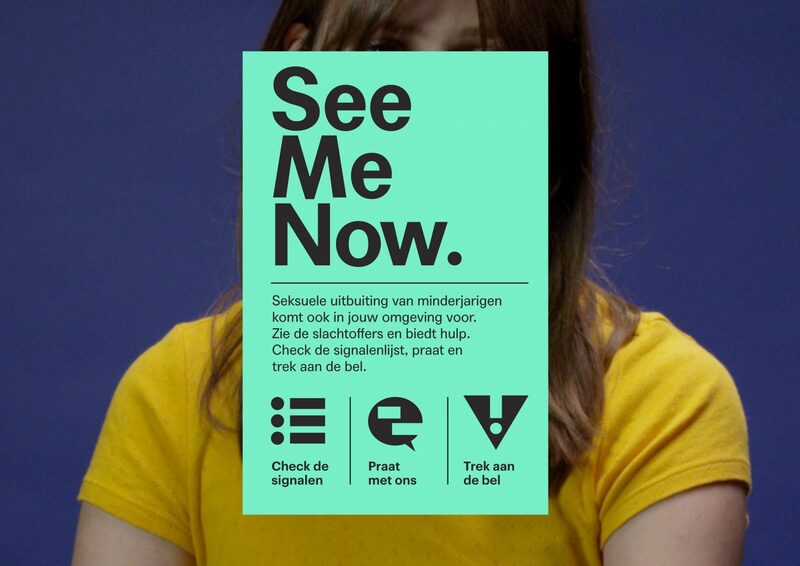 “See Me Now” confronts professionals with these stories, with the aim of making them aware of the problems of sexual exploitation. 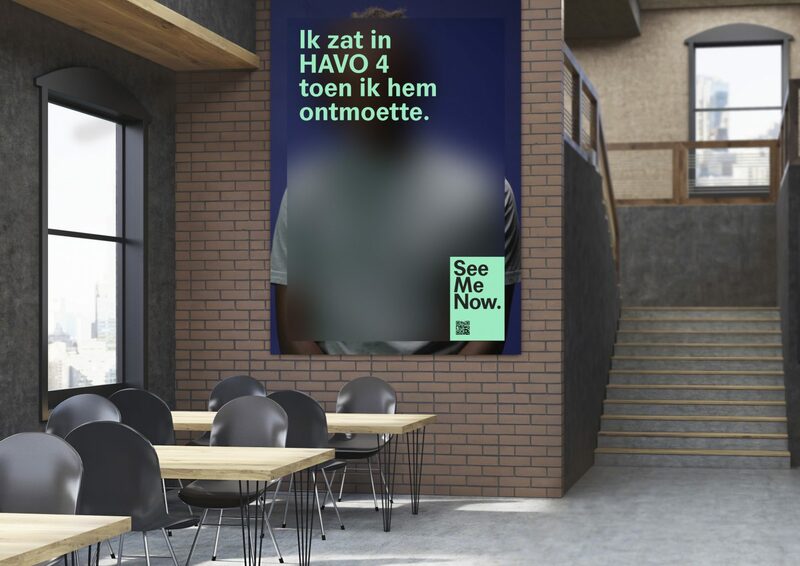 The See Me Now platform also offers scope for action: here, professionals can find a list of signs, ask questions in an automated chat and be led to a care coordinator or CoMensha (Coordination Centre Against Human Trafficking).